So almost 5 months since I last sat here typing. Life since then has had so many “oh no!” and “aha” moments. We have received the final diagnosis of a genetic disorder, we have moved homes, gained new friends and had to walk away from others. Chapters in Life have opened and closed. Our Intellectual Thunderstorm sadly hit a place through all this where life became too much and he was admitted into an Adolescent In-House counselling program. He has battled through it to come out the other side a wiser and more confident person. Some moments he so wanted to give up but he persevered through the grueling months and we are so proud of him. Its never easy being taken out of your comfort zone and placed into an environment where its all so different. Where you are forced to view yourself through so many mirrors. Sometimes we need to become completely undone in order to find our true selves and heal. We found the specialists involved to be so understanding and compassionate, they truly had all our best at heart. Watching him battle through in this journey was by no means easy, some days I found I wished I could just wave a wand and make it all alright. We all have new eyes towards this life we living. Some paths leave you forever changed. Today he started a new chapter. Still with all of us behind him supporting him. Today he went to his first day of work, new and more understanding people surrounding him with new challenges and new beginnings. Today we stepped into Hope. Can’t believe we are 14 days into the new year already. It seemed set to start off as a brilliant one. Our Intellectual Thunderstorm acquired another Volunteer position at a Specialist Vet clinic and was doing great, full week. We felt sure this was the turnaround point. We read about how a school, just like what we wanting to open, has opened its doors this Jan in another province. Contacts have been made. Our efforts in finding land to start our school haven’t been going so well but with all the other pluses we were on great footing anyway. Needless to say I had to go fetch him, he is naturally devastated and emotionally punishing himself, words I hate hearing flying out of his mouth. Self-damaging talk. The emotional damage and self-esteem will take time to heal, we will move forward slowly and learn from this experience. There is no better teacher than life, if we choose to learn from its lessons. I have calmly asked what the issues were so we can address them and he can learn. Turns out it wasn’t his lack of ability in work, but rather his inability to understand the social norms and etiquette required in social interactions. This has caused the problem. Management feel he does not fit in. We have learnt already in this life how not everyone has the ability to understand his differences and not every environment is suited to them either. We will return to the drawing board and regroup. He has a way to go and much to learn. Maybe this new school is a new door opening, if all pans out and jobs can be found that side…who knows. My feelings at the moment are a mix of heartbroken mother and unyielding optimist. I will take a moment… and allow him his. Then we will get back to work. Opportunities knock on the doors of those who are ready to answer. So off we went, bought 4 whiteboards and put ‘Family boot camp’ in action. We had total tech block-out for the weekend and communication was taken down to a very basic form. Straight words strung together to convey a need, want or opinion. No tones of voice, no sarcasm or misunderstanding of jokes. We all had to ‘speak’ by writing it down and reading. Sounds strange but it worked so well. The two kids didn’t even have ructions between each other. There was no shouting, misunderstandings or anger outbursts and everyone got along and got stuff done. Its amazing how when it takes a little more effort to convey your message, how you quickly abandon the unnecessary, hurtful behaviors to get someone else into trouble or say something spiteful. When you have to take the time to read the message and respond by having to write it out, it led everyone to act on thinking before speaking as it took time, you process whats ‘said’ and what you going to say, eliminating those quick responses that lack thought. So we had a quiet, peaceful house and we have learnt a lot. Our Intellectual Thunderstorm said it helped him a lot as he didn’t get so stressed out and bombarded by his senses when life through a curve ball he couldn’t quite process. So in light of this we have adopted a strategy that when a subject may be distressful, a request too much to process quickly or a reprimand given we will use the whiteboard to communicate. Eliminating the tones of voice, giving time for the brain to process and understand and the ability to respond in a calmer more thought out manner. Our Pink Whirlwind is learning slowly that not every thought she has needs to be voiced to Everyone All the time…..
My Intellectual Thunderstorm is battling through a tough week. Bouts of anger, anxiety and utter confusion in his own mind. His need to have a ‘normal’ social life conflicts with his current inability to cope with the emotional and psychological demands that the world outside brings. Demands the rest of us shrug off as just another daily humdrum are like climbing Mt Kilimanjaro for him, emotionally and physically taxing his system till breakdown point. Being an adult in this world with the ability to navigate its harsh edges with a bit more understanding is hard enough. I watch him battle, my heart burning in pain for him, knowing that no matter how many times or ways I explain it, he still won’t understand. A sad reality of life, we need to live it to gain the experience it so harshly dishes up. The experience so needed to survive in a time when humanity batters and bruises the souls of those they do not understand with their ignorance. Imagine being a child with the intelligence to know you are different and with the dreams and hopes as big and as vast as anyone else could imagine. Yet on the inside, one who is unable on most days to understand his own mind, never mind the complexities of the rules of a society that refuses to see past that difference. We need to stop and realize that someone seeing the world differently to you does not make them less acceptable or wrong. How could we possibly see the world the same if we haven’t all lived the same life. Ready, set and I hope its a Go! Well its a start. Emails sent, appointments made and docs downloaded. I’m feeling daunted and excited at the same time. Feel like I am walking on a wall, one side is failure and the other success. I am trying to keep my eyes on the success side. Got a response from a prominent person I emailed, can’t decide if it was a good mail or a bad one. On one hand I am absolutely amazed that they responded…and so quickly to boot, took all of 12 hrs, I didn’t even really think I would get a response… so miracle number 1. On the other hand though they didn’t sound too hopeful that this will kick off. They have tried on another side of things and the red tape is apparently miles long and keeps changing. And here we stand, after years of fighting we are finally getting closer to the truth. The hard part…. realizing that the truth may not be all you hoped it would be but knowing it is still necessary to know. My Intellectual Thunderstorm is causing quite a buzz in the medical circles he is involved in at present. Myriad’s of tests have been lined up and he will be a documented case for future medical students to learn from. He is caught between feeling anxious and scared and at the same time feeling a little famous; finally his differences are being noticed not by glaring and rude kids trying to get a laugh at his expense but rather by adults with gleaming excitement in their eyes. I’m not quite sure where I am on the scale of emotions at present. Years of hoping that the truth would lead to a cure or treatment that would make his life better and easier for once, were shattered with the new knowledge that whichever Disorder this turns out to be, it will be a symptomatic treatment process with possible further future hurdles still to come. At the same time though, I am elated at finally having a team of passionate and heartfelt specialists who are no longer going to allow him to fall through the cracks. I know we need the answers so that no matter what the future holds we will be better prepared for it. I hope that through our struggles, future children like him will not go so easily dismissed. That those who will learn from his medical reports and history will go out to be better Doctors with an eye for the small things and a heart that will listen to those mothers a little more closely. We have also through all this realized the lack of educational facilities in our country for children with similar problems, this has led to our decision to start the process towards starting a support group, as well as a school, where teens like my Intellectual Thunderstorm can come to learn in an environment that celebrates their differences and understands their struggles. A small home away from home, where they can find their place in life. For now though…. we taking a day off…. to celebrate our little Pink Whirlwinds Birthday. Something that has become a concern to my heart lately is the amount of people I encounter that when they open up, tell me about their issues at work with others who in their roles as leaders are displaying damaging characteristics towards those they are meant to lead. It led me to ponder on the basics of what makes a good Leader/Manager. Something I have seen I am definitely not the only one pondering about, based on the numerous pictures and posts I see doing the rounds on social media. The norm now days seems to be to place people in Management / Leadership positions based solely on their educational merits and achievements. This is unfortunately leading to a trend that is showing to be very damaging. I am not saying people with these high IQ abilities in their field are not great candidates for Management positions, however not all are equal in their EQ abilities. The merits of someone with a higher EQ (Emotional Intelligence for those who have not come across the phrase before) have been placed on the back burner by some companies. Now please bear in mind that I am not a Psychologist / Psychiatrist, just an observer and listener that has seen the damage this is doing through my encounters with others. The problem I feel with basing an applicants suitability for a position in Management solely on their Resume’ and Educational qualifications, without testing their EQ abilities is that we now have individuals, who although they know the job, cannot relate to and encourage the best out of those that they are leading. It is inevitable that at some point we will all miss the bar on certain projects, we are human and perfection is a myth that no one will ever achieve. We can strive to attain it but we will fail. You can argue this point but let’s be honest, what’s perfection for one is imperfect to another. 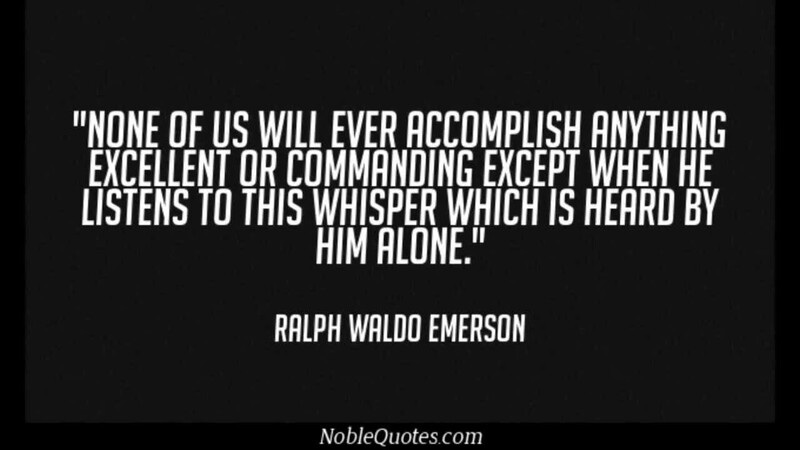 The problem in an environment where the person “in charge” has a lower EQ is that the immediate response to their “subordinates” failure is to shout, curse and belittle that individuals abilities, sometimes going as far as belittling the individual themselves. Some times even when a job has been done well, the constant shouting is not even soothed over with the odd compliment of a job well done. This leads to damage to self-esteem, depression and oft times breeds an environment where anger and resentment builds. The impact of this is that the person being belittled lands up having no desire to work or do their best, as no matter how hard they try, their efforts go unnoticed. We can sit and say ‘Oh, people should just learn to deal’, or ‘They should just shrug it off and not take it so personally’. Life is already riddled with stress from every angle. Work deadlines, personal relationships, financial strain and oft times traumas we keep to ourselves. We spend so much of our time at work that juggling everything else in the few precious hours of free time we have makes dealing with the added strain of a work environment that drains you even more, just too much. Not everyone has the strength in them to deal with personal life issues and then spend 8 to 10 hours a day being emotionally drained at work as well. This does not make them inadequate, just human. We have become a society that lives on anti-depressants and energy boosting pills and drinks that further drain our emotional and psychological abilities. People suffering from anxiety attacks, burn out and nervous break downs is becoming a norm. It is not a norm I think should exist. We need to start pushing for change not just in our personal lives but in the work place as well. A change towards people respecting others and valuing the contributions that each individual brings. Finding the strengths of each person and placing them in the environments and positions where they will be best suited based not only on their educational skills but their emotional skills as well. When hiring for Management / Leadership positions, an individuals educational and skill levels should definitely be advantageous to the job required, however, importance should also be placed on their emotional abilities as well. The work force they will lead needs to be constructively criticised when a fault is found, led and taught with respect in the areas where improvement is needed and praised when a job is well done. We are human beings and thus have emotional needs as well as physical ones. Those needs do not cease to exist when we enter the work place. I truly believe when an individual is given the encouragement and support required to achieve their best, they will be more willing to work and strive for the best. Thus inevitably benefiting the company, as a harder working, motivated and more efficient work force leads to better productivity. Determination in itself is a great attribute to posses, it enables us to move forward with conviction towards a goal. To persevere through trials and to keep our heads above water, but when that determination is aimed in the wrong direction it can have devastating results. Last night, once again, we were woken up by squealing and fighting hamsters. Our two DO NOT get along! When we got them we envisioned the two of them living peacefully and cuddling together, we did not however count on getting two strong willed and determined little miscreants. They are pleasant and docile towards us but put them together and all hell breaks lose. We separated them in the cage by means of a vertical mesh, but alas, they made a way by day 2 of getting at each other. So we decided to do an upstairs and downstairs conversion to the cage. Again without success. Their determination to have each others space and food led them to find, by any means, the smallest of spaces to crawl through, leaving in their wake bruises, scrapes and bleeding wounds and us sleep deprived. They are now in separate cages all together. They have an excuse though, they are animals. Us humans however have been gifted with the ability to discern and comprehend the emotional consequences of our actions. We have the intellectual ability when we so choose, to process the possible impact of our actions before we take them….do we though? In society today it has become evident that for the most part, we have lost our humanity. Peoples determination has been aimed at self gratification, materialism and the pursuit of glory. The determination to fill our days chasing success in work and play has led people to speedily disobey road laws, driving up the wrong side of the road, jumping red traffic lights and stop streets and causing collisions. Their determination to be first leaving in its wake financial strain and even death. The determination of others to climb the corporate ladder, regardless of who they have walked on to get to the next step. They leave behind the emotional strain of neglected family and embittered co-workers. Some have a determination to have it all, the big house, fancy cars and more stuff than they know what to do with, neglecting to see the needs of those around them. Those others who have a determination to see change, to help and care as a community, the way it should be. They are often regarded as troublemakers, outcasts and rebellious because they do not subscribe to society as it is. I fear for what will become of this world, what our children’s children will suffer at the hands of this so called society if the focus is not soon changed from self gratification and material gain to self worth and the needs of the greater community. As a mom of a “Delinquent”, a perverse and crude term used by those who cannot understand the struggles of the tattered and beautiful souls of the children, teens and adults that struggle with a mental illness. I am writing this to salute all those moms out there who have walked the road with their precious child. I write to the moms today as here by us it’s Mothers Day. Please by no means am I excluding those fathers and guardians who walk this same road. This post is for you as well. To the moms that have endured the sideways glances and disproving head shakes. To those who suffer the needless criticism about their lack of correct discipline. 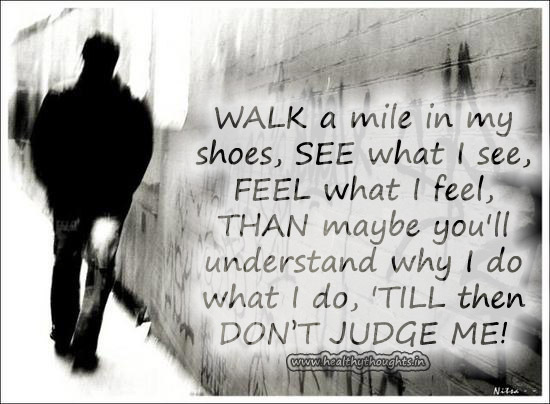 To those who have felt the sting of the Judgmental looks and comments. I salute you. I salute you for your perseverance, your unyielding love and for getting up each day and taking those steps forward. I salute you for your passion and devotion to helping your beautiful and tattered soul of a child find a future in this cruel world. As a mom I was told for the first 8 years of my precious child’s life that I was being paranoid, only to be told just before his 9th birthday (thanks to a Doctor who took the time to really care) that my child had a severe abnormality in his brain. It has been another 7 years and multitudes of Doctors later and we are still looking for answers. I have grabbed at every possible opportunity and pursued every lead. Finally we have the ember that may just light the candle that will lead us to the bright sunlight of truth and the ability to prepare fully for his future. It’s not about being hung up on a diagnosis, its about knowing a prognosis, this gives us the ability to plan and know where we headed. To all you out there walking this hard road, I know that some days are so dark you cant see a way forward, some days feel like an endless and useless battle. I know those moments where you wonder why. You look up and wanna yell and scream. The days you wish you could give up but you love to much to do that. I know the heartache of wishing for a break but feeling so guilty for wanting it. It’s ok. Remember you’re human and when you feel alone, remember you are not. Wherever you are, those of us on that road are with you in spirit. To the tattered and beautiful souls out there struggling to make your way in this world, we are with you too. We know the pain you feel, the rejection, the fear, the anger and confusion. We know you don’t even know half the time why you feel that way. We know it’s hard to keep a lid on your anxiety’s and fears, the anger that boils and spews. Just remember, get up each day, do your part and participate with the doctors. One day there will be light, there IS a future and you are not alone. To those watching, PLEASE, don’t be so quick to judge. Yes some people out there are just mean, arrogant and lazy, but others are struggling with a disorder or an illness you just cannot see. Just because someone looks healthy and “normal” doesn’t mean there isn’t a hidden issue, and trust me, a parent that has a child suffering has read every book they can get their hands on, they have tried all the parenting strategies and discipline possibilities. Think how you battled to deal with “that child” for the few moments you spent with them, imagine living with them….do you not think that parent hasn’t exhausted every method possible to help their child as they have to live with them? Stay strong and keep putting each foot in front of the other. I am with you and I know one day things will be ok.